my B.O.B. 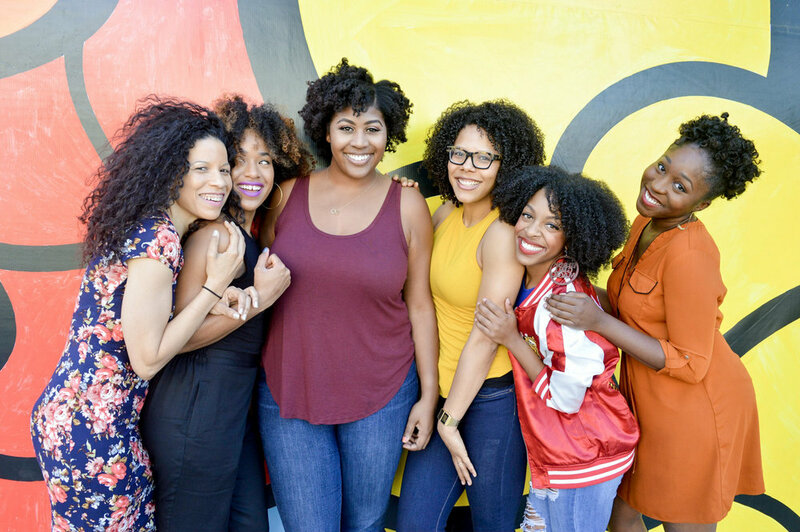 - Naturally Boundless — myblackbox co.
We were happy to introduce Jasmine, founder of Naturally Boundless through our my B.O.B. campaign on Instagram! This campaign brings awareness to Black businesses from the owner's perspective. At blackbox we believe it's important to know the vision and purpose behind a business. Through our blog, we can dig deeper into their stories and provide a fuller perspective with you! From a full ride scholarship to college playing volleyball to creating her own natural haircare line, Jasmine's journey to launching Naturally Boundless was rooted in her discovery of self and being all of her true being, unapologetically. Wow! You played volleyball on a full ride scholarship! Did you consider going pro while you were still playing? Volleyball has been such a huge part of my life. I started playing volleyball at such a young age and it completely consumed me. I loved playing the sport, I loved being part of a team and once I started playing in college it became my identity. I was and still am very passionate about the sport. By my senior year at LMU I knew I had to make a decision regarding playing overseas or starting my career. I chose to start my career in sports TV and stay in the US. I knew that I couldn't play in the states and I wasn't ready to go overseas, so I began my journey in broadcast production. The good thing is, I live in Southern California and the transition into beach volleyball has been amazing! What did you dislike most about the natural haircare process that pushed you to create Naturally Boundless? Naturally Boundless began out of frustration with my own haircare regimen. I was a major product junkie but nothing was really working. I never got the results that I wanted and I was overspending on so many different products that were allegedly 'must-haves.' So I began to focus on products that I felt were truly needed in a regimen while also taking a good look at the ingredients being used. That started me on a path of researching natural ingredients that truly benefit your hair health!! So all in all, the most frustrating parts about the natural haircare process was an overload of products (that you don't really need) and ingredients that aren't beneficial to your hair health. What makes the haircare process with Naturally Boundless easier? (2) Sweet Mint Smoothie Conditioner: This is actually a set. It comes with an 8oz conditioner and 2 empty 4oz bottles. You basically customize your Leave in and Refresher spray by adding the conditioner and water to each bottle. So, you're buying 1 conditioner but end up getting 3 full products! (3) Whipped Shea Sorbet: This creamy butter is all natural and truly is a jack of all trades. It can be used to lock in moisture, style your hair, Hydrate skin and as a facial moisturizer. The list truly goes on and on for this product! (4) Body Glow Pumice Scrub: Our Pumice Scrub exfoliates your entire body and is gentle enough to use on your face too. This product works really well in conjunction with our soap bar for an exfoliating clean and then layered with our Whipped Shea Sorbet to seal in all-day moisture. Any new products in the pipeline? Where do you see the business going next? I definitely don't plan on expanding the line of products too much because I want to keep it simple. However, there are 1 or 2 products that will compete the Naturally Boundless roster in the near future!! Could you share some of your favorite haircare tips? My favorite hair care tip is to get to know your hair because that'll be the most important factor in how to take care of it and how to style it! A shape or trim goes a long way!!! Felicia Leatherwood just gave me my first shape and I feel like a completely different person!! Last but not least, get your hair on a regimen! Deep condition, wash and lock in moisture! It was a pleasure learning more about Jasmine and her story behind Naturally Boundless. You can learn more about your haircare line here and take advantage of an exclusive 20% offer for our readers using code: NB20.